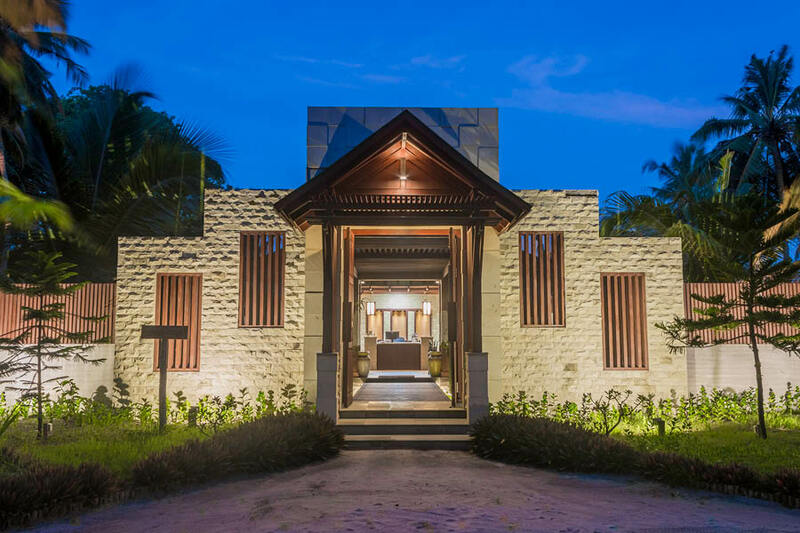 Located in the exotic Raa Atoll in the north, the Furaveri Island Resort & Spa offers a truly Maldivian experience. 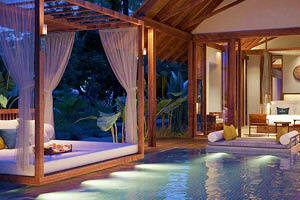 Settle in beside tropical vegetation, pristine white beaches, or above the stunning turquoise lagoon. With 170 rooms, deep soaking tubs, a private beach, and plenty of activities, this remote resort is the perfect island retreat for individuals, couples, or families. Step off the seaplane and enter paradise. Built in 2015, everything about Furaveri has the mark of elegance. From stylish interiors and premium furnishings, to breathtaking views and outstanding amenities, you’ll be feeling the island vibe in no time. Furaveri has two dining options. 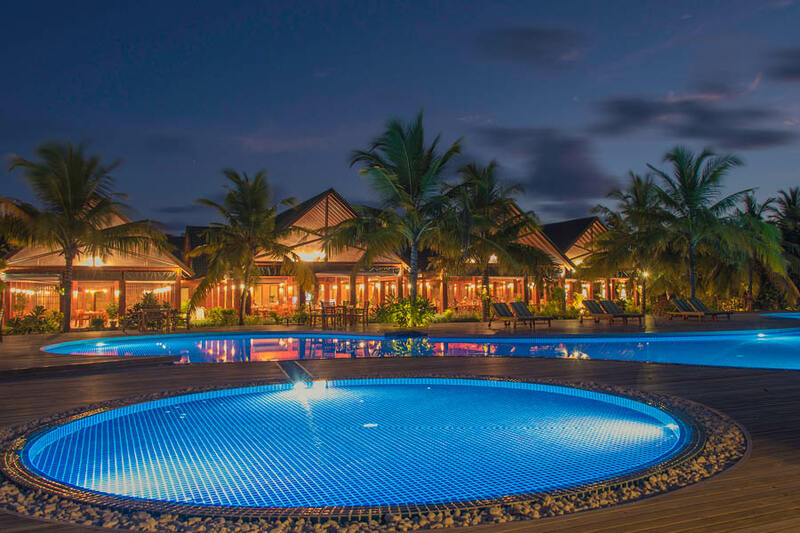 Jaafaeiy Restaurant offers an á la carte menu to suit all taste buds, while the poolside Udhares Bar provides signature cocktails and plenty of live evening entertainment. Unwind at the day spa, workout at the fitness centre, and take advantage of the kid’s club and onsite boutique. 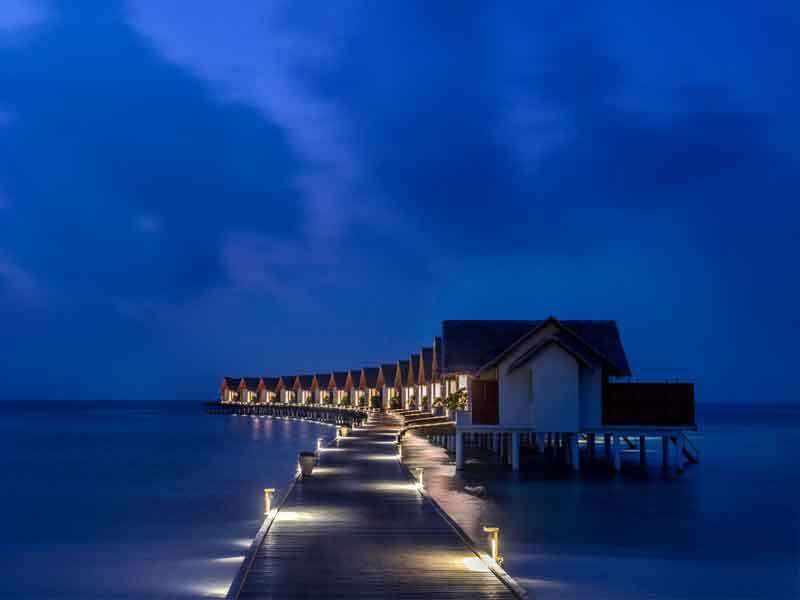 Nestled on the beach, Furaveri Island Resort & Spa caters for every type of holiday seeker. Dive into the incredible house-reef just off shore and enjoy water sports led by professional, trained instructors. 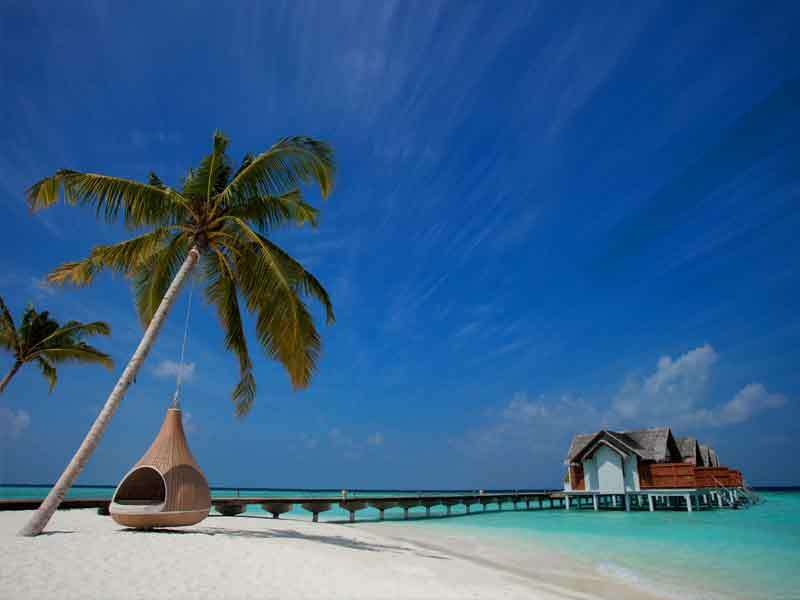 Head out for the big catch, tour to other Maldivian islands, or take a romantic sunset cruise. Furaveri is the perfect place to celebrate life and love. Whether you’re with your family or on a honeymoon, this resort is a location just for you. 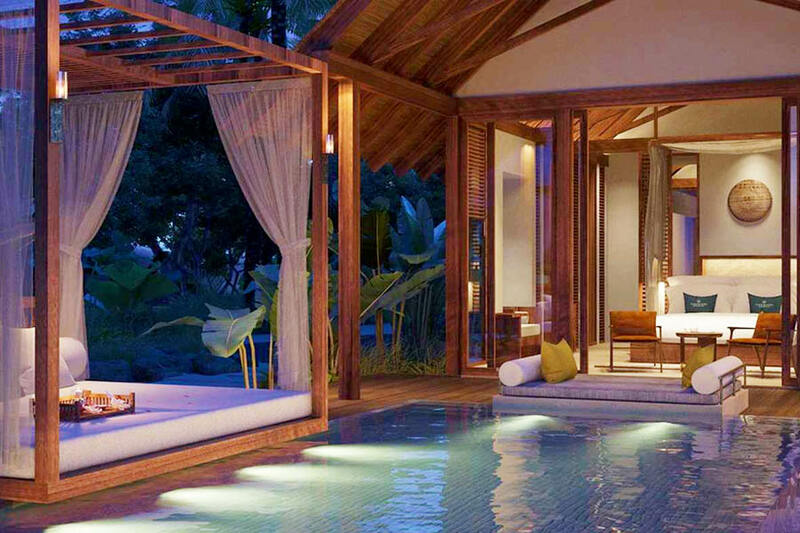 Revel in the remote and make your own unique memories at this exotic island resort. Escape to your own oasis in one of the spacious Garden Villas. Nestled into lush tropical gardens, these elegant rooms feature a private sundeck and a semi-open bathroom overlooking your own private garden. With a Jacuzzi bathtub, bathroom amenities, a robe and slippers, outdoor dining area, satellite TV, minibar, coffee machine, and a safety deposit box, you’ll be able to relax in luxurious comfort. 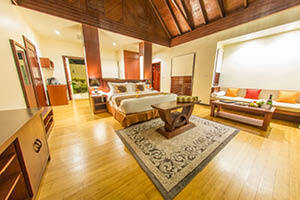 Interconnected rooms are also available for families and friends. Start everyday looking out over the soft white sandy beach from one of these refined Beach Villas. The large wooden sundeck, private dining area, and spacious semi-open bathroom with a Jacuzzi tub will enhance the luxury element of your stay. Enjoy 125 square metres of bedroom, a flat-screen satellite TV, sofa, bathroom amenities, a robe and slippers, and minibar. Enjoy the serenity and feel secure with your own private entrance and a safety deposit box. 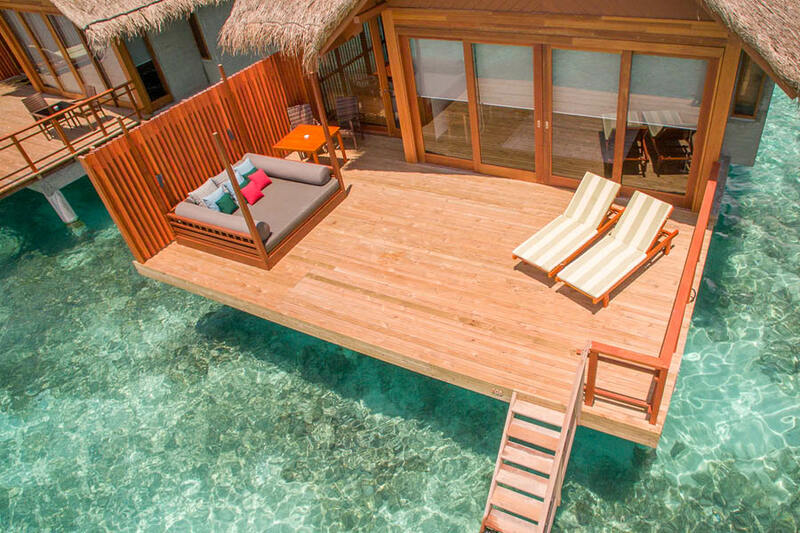 Float above the tranquil blue lagoon in a Water Villa. 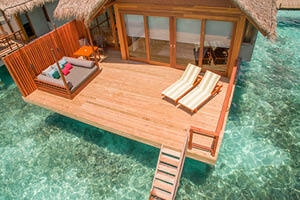 Connected to the island by a wooden pontoon, these spacious villas allow guests to retreat to absolute privacy. Lie back on your extra-large double bed and gaze out at the water or venture outdoors to your extended veranda. Soak up the sun on sun lounges and enjoy the experience of outdoor dining. These villas include a flat-screen satellite TV, minibar, bathroom amenities, a desk, ironing facilities, and a safety deposit box. These villas are a true water-lover’s paradise. 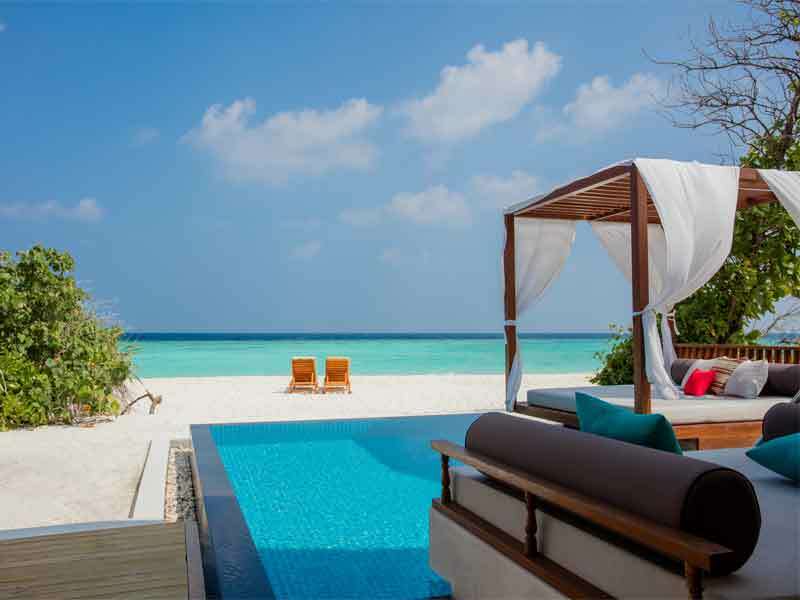 View the white sandy beach and turquoise lagoon and enjoy your own private 6-metre pool and cushioned day bed. 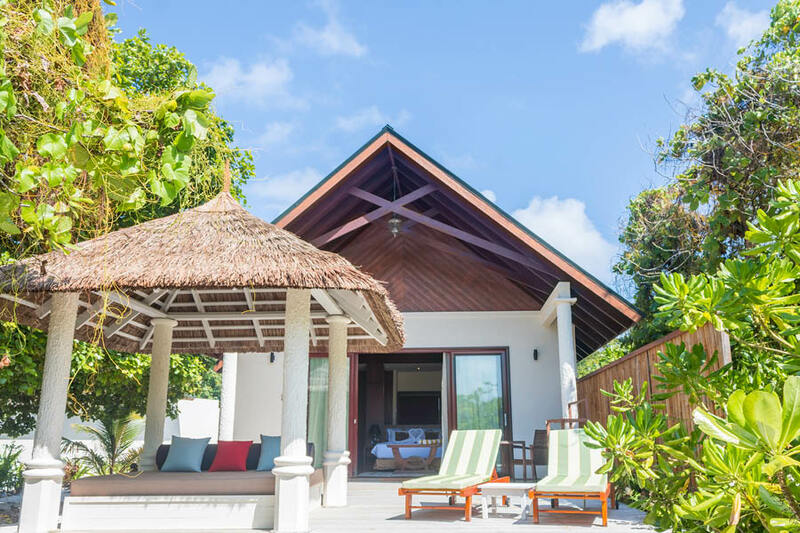 These villas have a private entrance, outdoor dining area, luxurious bathtub, bathroom amenities, flat-screen satellite TV, mini bar, coffee machine, and ironing facilities. 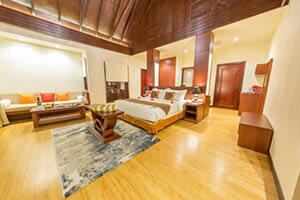 Melt into the premium quality, extra-large double bed and open the whole place up to take in the cool tropical breeze. 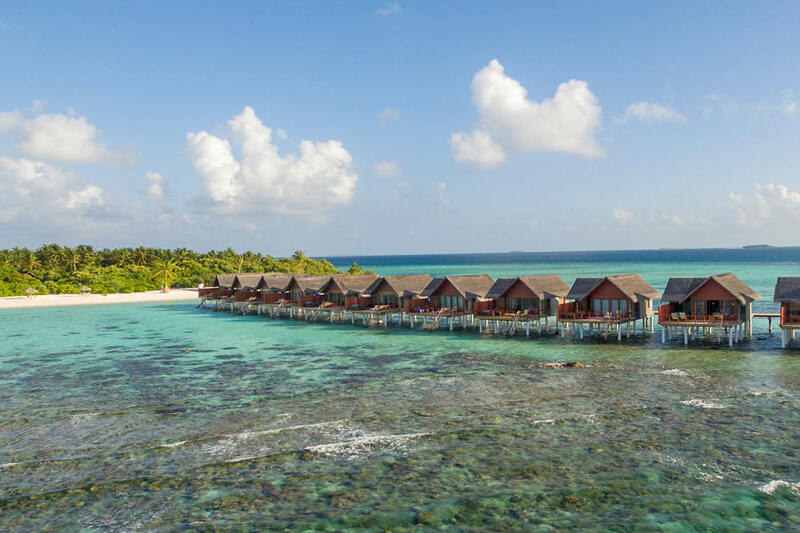 Inspired by the traditional Maldivian fishing boat, the “Dhoni”, these villas feature creatively designed spaces, an en suite bathroom, and a large private pool. 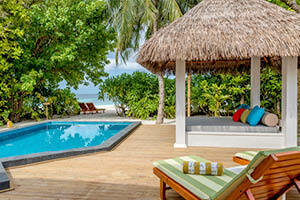 The Dhoni Pool Villas are nestled in the lush tropical vegetation at the edge of the beach. Wake up to views of the turquoise lagoon and soak up the sun with outdoor furniture and dining facilities. These rooms feature flat-screen satellite TVs, bathroom amenities, a coffee machine, mini bar, and a safety deposit box. 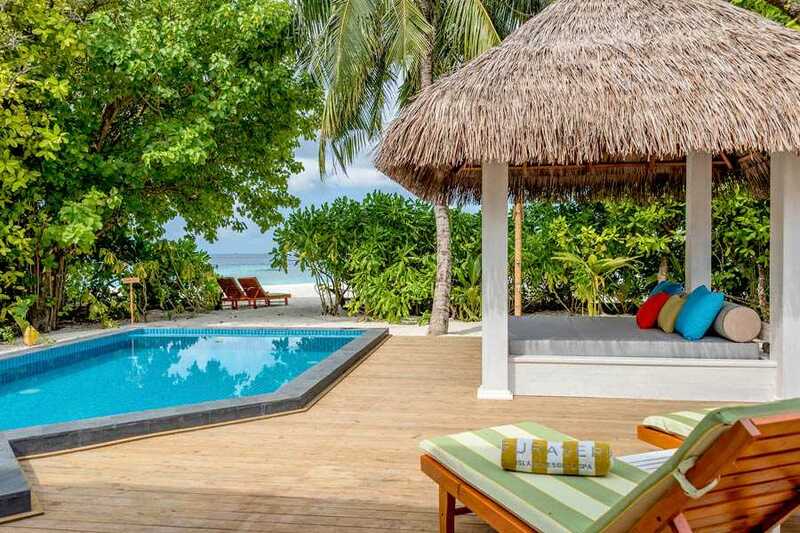 Furaveri Island Resort & Spa is located within the Maduvvari and Meedhoo Harbour vicinities. A short 45-minute transfer by seaplane with Trans Maldivian Airways will get you there straight from the Malé International Airport. 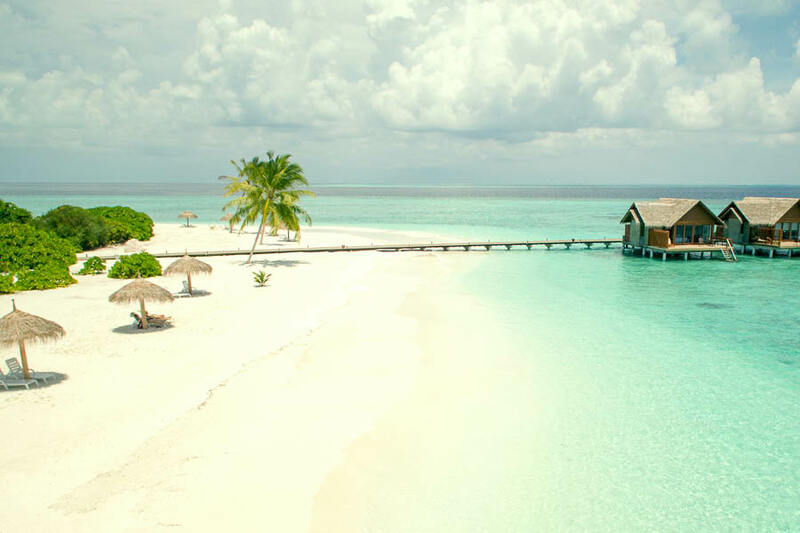 Dive, snorkel, unwind, and fall in love with Furaveri Island Resort & Spa. With a house reef full of incredible marine life just steps out from shore, it makes sense that the water is one of the most popular attractions on the island. 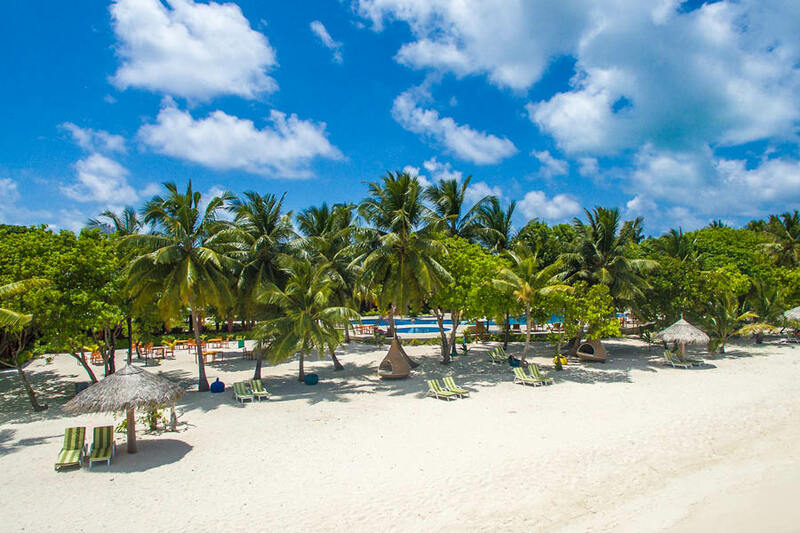 Experienced PADI 5 Star Dive workers reside onsite and run a range of scuba diving and snorkelling courses and lessons, plus catamarans, jet skis, banana boats, and more are available for above-the-water sports! Land lovers can relax in the full service Furaveri Spa and a range of wedding, honeymoon, and love-declaration services are available for those wanting to make the most of the romantic island backdrop! We went to Furaveri for two nights to celebrate our 1st anniversary. We loved it so much that we had to extend one more night because we did not want to leave! It was the most amazing experience ever, from the moment we landed in the airport until we left…the staff would do anything to make their guests feel happy!